As a landlord you will know the importance of keeping your property in good condition and ensuring everything is in perfect working order. We have been doing boiler servicing for landlords for over 40 years now throughout the whole of county Dublin. The importance of an annual boiler service though can often get overlooked. From a landlords point of view the fact that boiler servicing saves on yearly heating bills may not be a priority but there are other extremely important reasons to have your boiler serviced regularly. Why should I have a regular boiler service. Having a gas boiler service or an oil boiler service can save a lot of money in the long run. A boiler is like a car. If it hasn't been used for a long while as in the summer months it may not start or it has developed problems from non use. 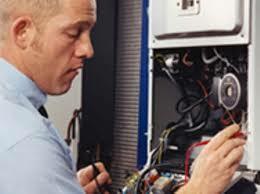 Our expert technicians at Boiler Services Dublin will optimize the performance of your boiler. They can also diagnose by the noises that your boiler makes on start up and during inspection if there are other problems. It is common that parts can wear and are ready to pack up at any time. If you don't catch this early on it can lead to far more expensive remedies in the future including a full boiler replacement which may run in to thousands of euros. Please take a look at our article 8 reasons boilers breakdown. From a health and safety point of view it's a must. A faulty boiler may leak. This could be toxic emissions which could cause illness or even fatalities. A water leak on the other hand could cause structural damage to your property meaning costly works or rising insurance premiums. If the water leaks in to the electrics this could cause even more damage and be a potential fire hazard. About our boiler servicing for landlords. We work around our landlords and tenants lifestyles. We understand being at home 9-5 is not an option for most. We can do your annual boiler service at a time that suits you. Early mornings, evenings or weekends, whatever time that suits. We offer this service at no extra charge. 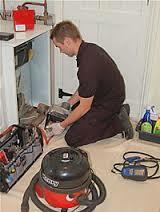 All of our boiler service technicians are R.G.I. registered, fully qualified plumbers who decided to focus on boilers as their speciality. They are all very capable of dealing with any plumbing issues. We offer a guaranteed 24 hour emergency plumbing service for landlords who deal with us and a reduction in costs for multiple properties. Our staff are polite, professional and 100% focused on delivering the best quality workmanship within the industry. All of our team are thoroughly vetted prior to employment and some have in excess of 35 years experience in servicing, repairing and replacing boilers in Dublin. This means you can trust us to get all work done with the minimum of fuss. All of our work comes fully guaranteed and we are covered comprehensively by our public and professional indemnity insurance for additional peace of mind. If you would like a quote for your annual boiler servicing call one of our experts at Boiler Services Dublin today on 01-8326699. We service boilers from between €59-€89 including V.A.T. depending on the make and model.